Ingram wasn’t a poet by nature perhaps, but he made a great song lyricist. Colorful, but simple and short, unlike most of the poets of the age. He chose the moment before the Bell Witch first made her appearance to Betsy, when life was sane and magical, in a good sort of way. The truth of the story we’ll never known. 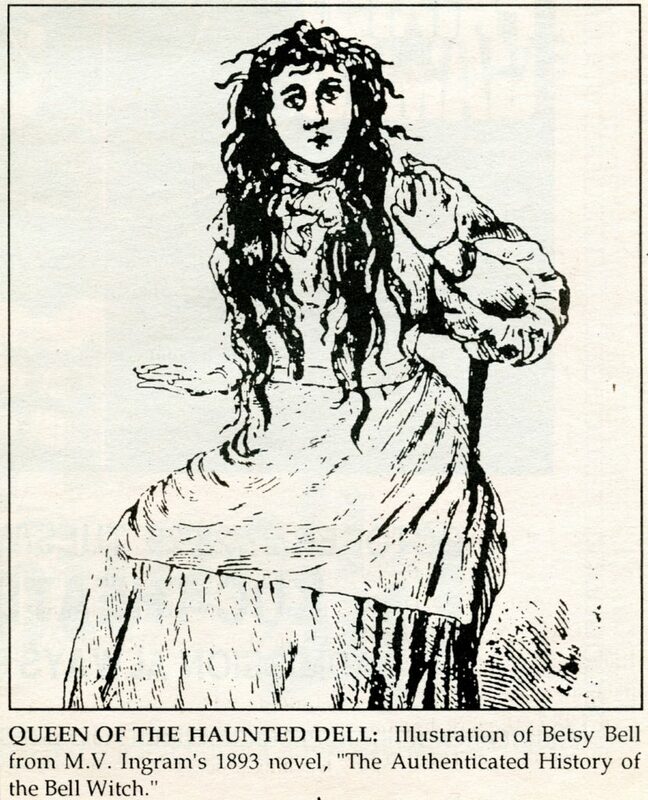 We’ll never know whether the horrors inflicted upon Betsy Bell were real, mortal or supernatural. Ingram’s use of the word authenticated is to say the least, suspect. But something happened in the wilds of Tennessee that still reverberates to this day. Sweetly thrilled with love’s young dream. Kissed by lunar’s silvery gleam. Wielded sceptre o’re the queen.